When it comes to fashionable men’s shoes, there’s only one name on our lips; Silver Street. 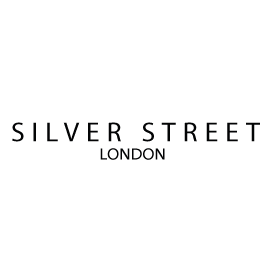 Silver Street London are renowned for their contemporary take on classis men’s shoe silhouettes. If you’re looking for a stylish, comfortable, and affordable shoe that looks just as at home in town on the weekend as it does in the boardroom, then you’ve come to right place. 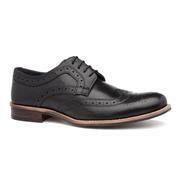 One of Silver Street’s most popular styles of men’s shoes is their traditional men’s brogue. Being Silver Street, they don’t have just one brogue, but a series of different designs to appeal to every man’s tastes. Their classic men's leather brogue features real leather uppers detailed with the perforated design associated with this style of shoe. With a lace-up fastening and a chunky, flat grip sole, they look just as good when paired with jeans as they do with chinos or suit trousers. Prefer something in a slimmer profile? Not a problem; Silver Street also have brogue shoes with more low-profile soles, perfect for gents who prefer a more traditional look. How about a brogue boot for a modern twist on the classic? 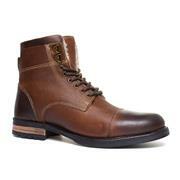 They look great when paired with rolled jeans or chinos for a smart-casual finish. Silver Street excel when it comes to affordable yet stylish men’s shoes. Shop the full range online with Shoe Zone and enjoy free standard delivery on your purchase. Alternatively, why not click and collect, or come and visit us in store? 25 products from £19.99 to £49.99.